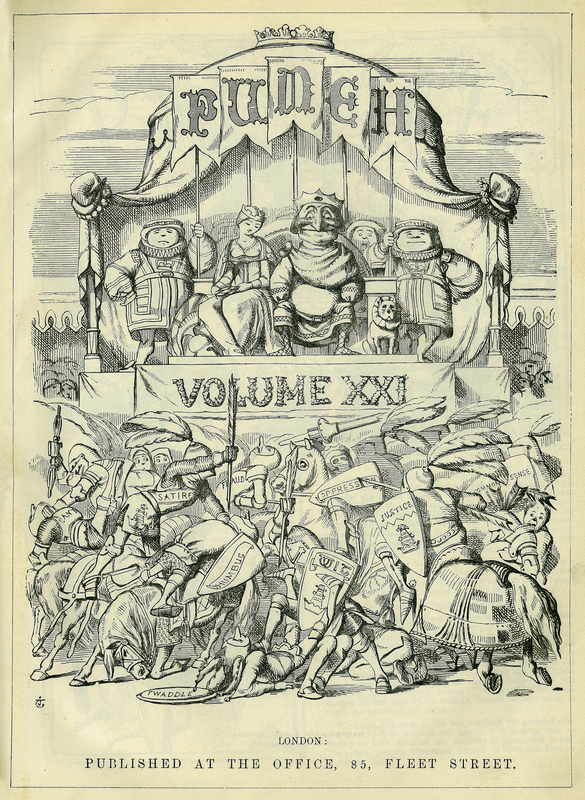 Founded on 17 July 1841 by Henry Mayhew and Ebenezer Landells, Punch became a very successful satiric periodical in England. The masthead was created around the anarchic glove puppet Mr Punch. Mark Lemon, editor, “Punch, or the London Charivari, Vol. XXI,” ourheritage.ac.nz | OUR Heritage, accessed April 22, 2019, http://otago.ourheritage.ac.nz/items/show/10861.